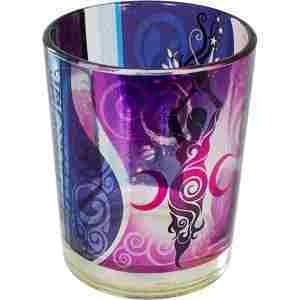 This Goddess printed votive candle holder will accent any room. Will hold most votive candles. Crafted from glass.